Photo of The Heart Beats of Lubbock, TX. in the late 1960s via Cicadelic Records. 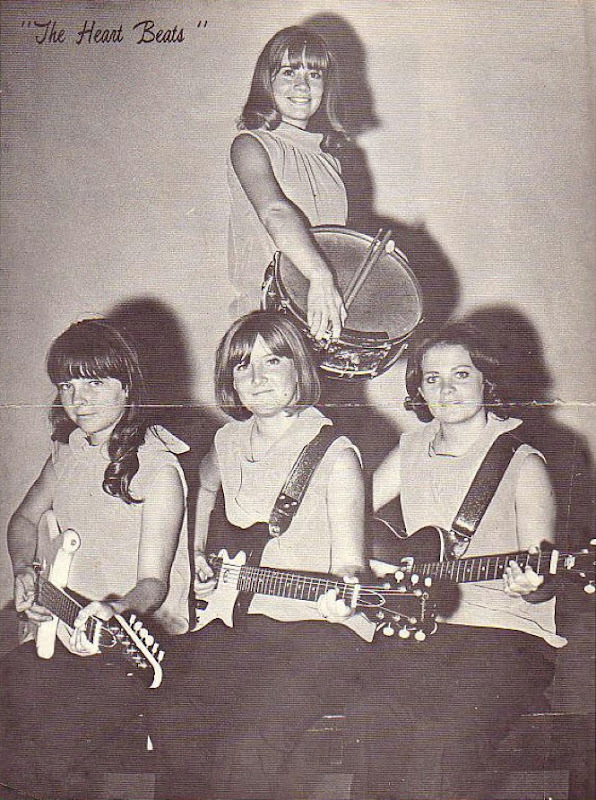 One of the first all-girl garage rock bands! Thanks Julia! Thanks for the tip, I'll try that. How awesome! I'm originally from Lubbock and for some reason have never heard of them, although their songs sound familiar.